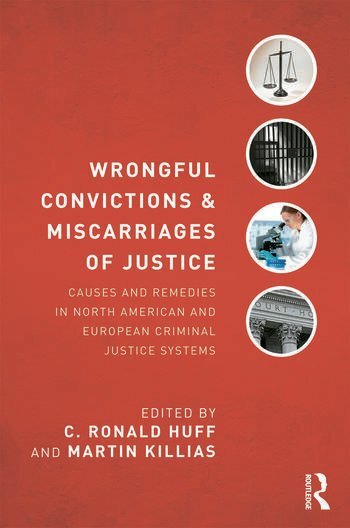 This innovative work builds on Huff and Killias’ earlier publication (2008), but is broader and more thoroughly comparative in a number of important ways:　(1) while focusing heavily on wrongful convictions, it places the subject of wrongful convictions in the broader contextual framework of miscarriages of justice and provides discussions of different types of miscarriages of justice that have not previously received much scholarly attention by criminologists; (2) it addresses, in much greater detail, the questions of how, and how often, wrongful convictions occur; (3) it provides more in-depth consideration of the role of forensic science in helping produce wrongful convictions and in helping free those who have been wrongfully convicted; (4) it offers new insights into the origins and current progress of the innocence movement, as well as the challenges that await the exonerated when they return to "free" society; (5) it assesses the impact of the use of alternatives to trials (especially plea bargains in the U.S. and summary proceedings and penal orders in Europe) in producing wrongful convictions; (6) it considers how the U.S. and Canada have responded to 9/11 and the increased threat of terrorism by enacting legislation and adopting policies that may exacerbate the problem of wrongful conviction; and (7) it provides in-depth considerations of two topics related to wrongful conviction:　voluntary false confessions and convictions which, although technically not wrongful since they are based on law violations, represent another type of miscarriage of justice since they are due solely to unjust laws resulting from political repression. C. Ronald Huff is Professor of Criminology, Law and Society and of Sociology at the University of California, Irvine. He is a Fellow and Past-President of The American Society of Criminology. His publications include more than 100 journal articles and book chapters and 12 other books. His current research focuses on wrongful convictions and gangs. Martin Killias is Professor of Criminal Law, Procedure and Criminology at the University of Zurich. Over 25 years, he directed the Institute of Criminology at the University of Lausanne and served as a part-time judge at the Federal Supreme Court of Switzerland. His research has focused on comparative and experimental studies.